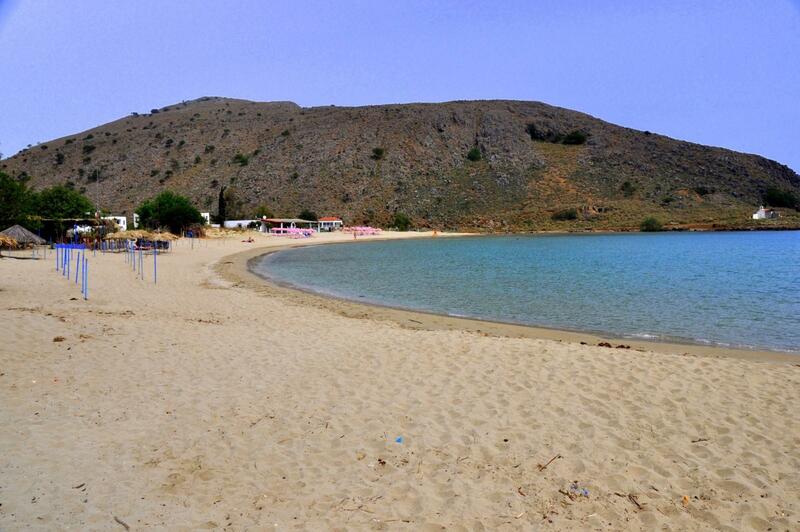 Visitors to Crete this summer looking for that prefect beach wont be just the human kind. Every year hundreds of loggerhead sea turtles – the most common turtle found in the Aegean, make their way to Cretan shores. And its the female of the species that comes to carry on a timeless ritual. The beaches of Crete’s north coast and the Gulf of Messara in the south, are the ones the turtles use most, and they have been visiting the same nesting sites for thousands of years. Georgioupoli has a special chapter in the story of Crete’s turtles, with many nesting sites to be found east and west of the town. 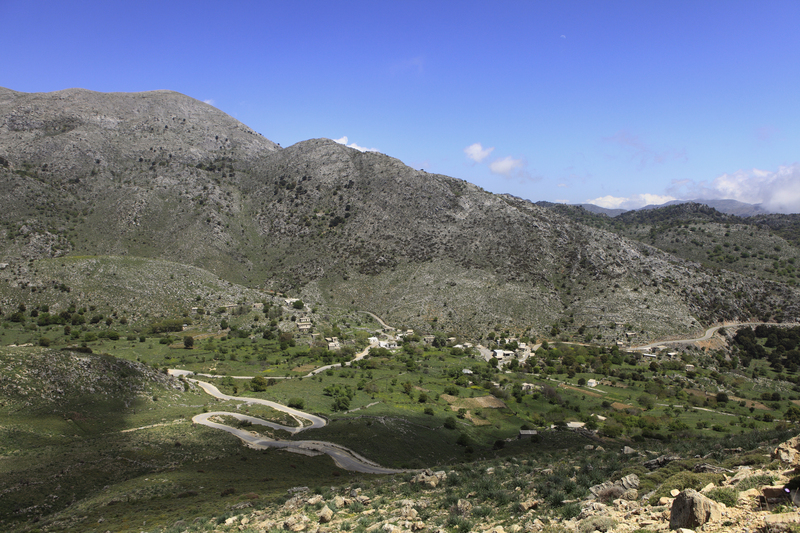 The Almyros river (also known as Turtle river) and its estuary even has its own indigenous species of terrapin. 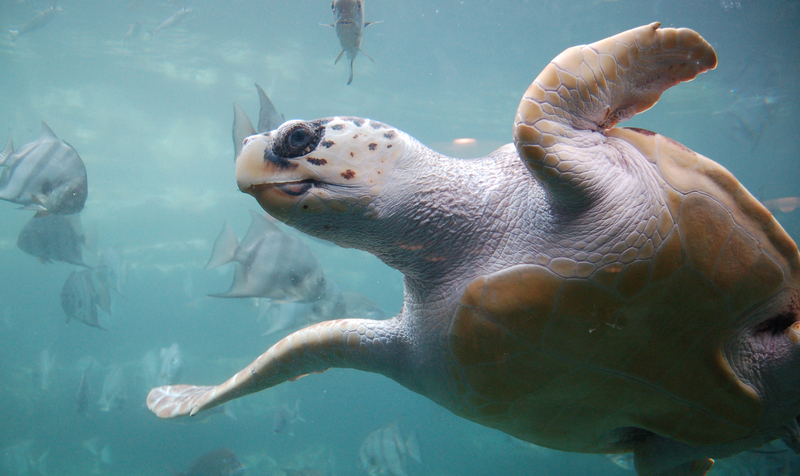 Loggerhead turtles migrate huge distances between feeding grounds to their nesting sites, and it’s been known for a female to travel thousands of kilometers to return to the beach where she hatched as a baby. And it’s on the very same beach where she lays her own eggs as an adult. When ready to lay, they usually approach the shores of Crete every two to four years, and come ashore at night – only if there are no bright lights or loud noises to scare them away. The female clears a spot in the sand, then using her hind flippers, she digs her nesting hole. After laying (between 20 and 200 eggs) she re-covers the hole, and the hatchlings emerge about 60 days later, usually after sunset, and scuttle to the sea. In Crete their laying time – May to September – of course coincides exactly with the main tourist season, when beaches are at their busiest, but with a responsible approach to environmental protection, many hotels and beachfront businesses have taken the lead in helping the turtles out. Loggerhead turtles are a strictly protected species in Greece and every effort is made to ensure their welfare. 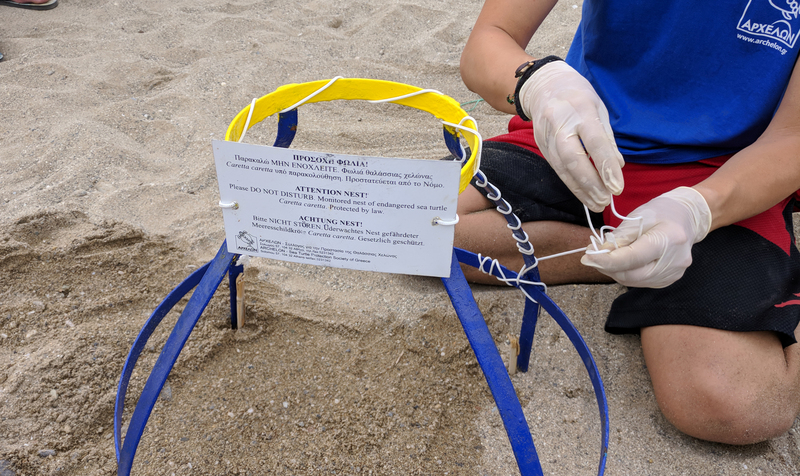 Not-for-profit marine protection organisations like Archelon and Medasset are at the forefront of educating visitors and businesses about what can be done to help the turtles continue to use their ancient nesting sites. 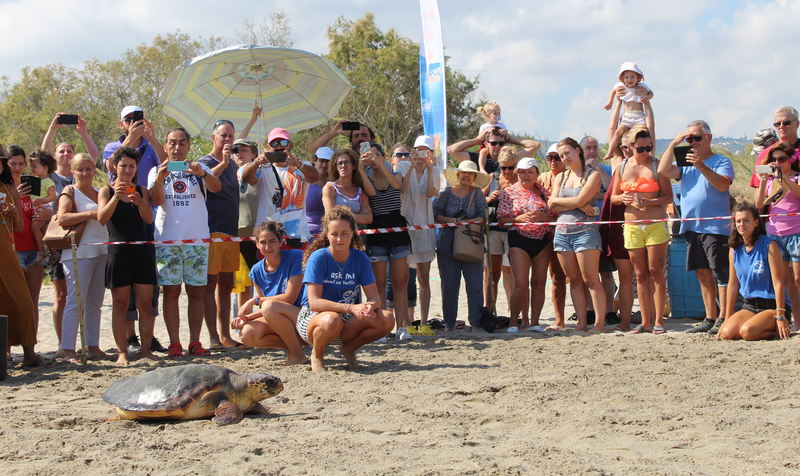 Both organisations, staffed by volunteers, focus their efforts on where the major loggerhead turtles nesting sites are found, particularly Chania and Rethymno provinces, and in the south of Heraklion province. The life-cycle of turtles is dependent on them being able to return safely to their nesting sites. For this reason, if you think a beach is one that turtles use, avoid using lights at night on or near the beach, and avoid walking on the sand at night. Also don’t drive on or near the sand. If you come across a nest, you should mark the spot, and let your hotel know. They can they contact Archelon. Once informed they will place a metal cage over the nest. You can also call an Archelon project officer direct on 693 7352379. Once a nest is identified and reported, Archelon can arrange to keep it safe. Other images: Archelon, Wikimedia Commons.